Dave is very honest, trustworthy, and I value his opinion. I truly think he's worth his weight in gold. He works with my schedule very easily, he's very affordable, and he's very honest. I would definitely go there again and recommend a friend to go there. They always treat me very well, they're fair, and they have a clean facility. They stayed after hours to get my truck done. They didn't have to do that, but they did it without hesitation. I think they're a good company to go with if you're in the Santa Rosa area and you're in need of auto repair. They're competent and diligent. They never do anything without my permission, and they're 100% honest. 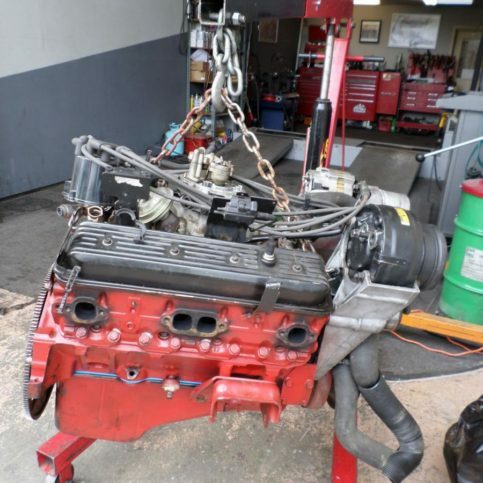 Empire Auto Repair & Smog provides a wide range of repair services for all types of cars at its Santa Rosa facility. 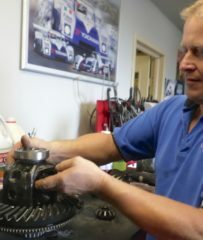 In addition to working on regular vehicle components like engines, transmissions and brakes, the company has the training and equipment to perform smog tests and repairs, offer comprehensive diagnostic services, conduct pre-purchase inspections on new vehicles, and more. Owner David Proffer works on a component of a customer’s car. 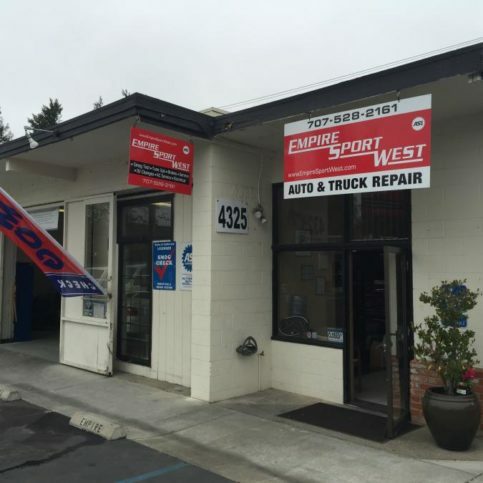 Empire Auto Repair & Smog works on everything from brakes to engines and transmissions at its Santa Rosa shop. 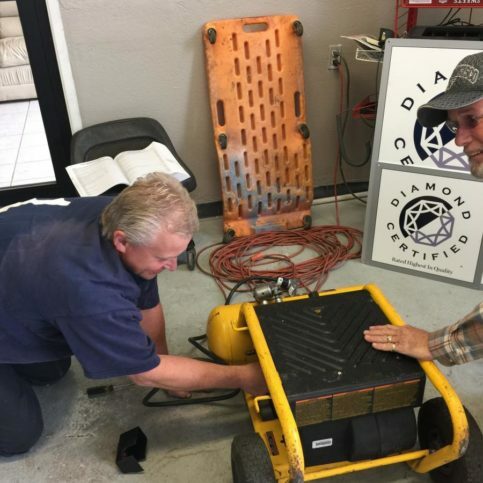 In addition to its general repair capabilities, the company has the training and equipment to perform smog tests and repairs, conduct pre-purchase inspections on new vehicles, handle electrical work such as power window repairs and battery replacements, and more. Don’t ignore the warning lights on your car’s dashboard. Warning lights can be easy to disregard, especially if you don’t notice any immediate problems that affect your car’s drivability, but that doesn’t mean they aren’t an important part of your vehicle’s overall safety system. In fact, paying attention to your dashboard lights can save you a lot of money in the long run. If there’s a potential problem with your car, getting it fixed quickly is much less expensive than waiting until there’s a serious failure. When your “check engine” light comes on, it’s important to determine if it’s solid or flashing. If the light comes on and stays on, it means there’s a potentially serious problem and you should get your car to a repair shop as soon as possible…but it’s not an emergency. If the light is flashing, however, that indicates a serious problem that requires immediate attention. The check engine light won’t tell you the nature of the problem, so you need to have an auto repair shop perform a diagnostic check to determine exactly what’s wrong. It’s also important to pay attention to your car’s battery gauge (a voltmeter that tells you if the alternator is properly charging the battery). If the gauge reads between 12.5 and 15 volts, everything is fine, but if it falls below that range, it means the battery isn’t charging properly and will soon run out of power. In that case, you should get your alternator and battery checked as soon as possible. Many people also ignore their gas gauges, but they too are important performance indicators. Most cars have small gasoline reserves (usually one or two gallons), but the amount varies from car to car, and how far your reserve will take you depends on driving conditions and the mileage your car gets. To avoid getting stranded, it’s best to put gas in your car when it’s nearly empty. Q: How long it will take to fix my car? A: Each job varies depending on the vehicle’s needs, so it’s difficult to give an accurate timeframe before work begins. However, once I do a thorough diagnosis, I should be able to give you a general idea of when the work will be finished. Q: Do you provide estimates over the phone? A: I try not to give estimates over the phone because I don’t think it’s very fair to my customers. There are too many times when the price ends up being more than what was quoted, and people don’t appreciate that. When someone calls for an estimate over the phone, I always try to get them to bring in their car. Q: Will you do a ride-along test drive of my car? A: Yes. If you think your vehicle is making strange noises, I recommend taking a test drive with me. I may notice different noises than you, so I want to be sure I’m fixing the right problem. Once we drive down the road together, we can listen for any noises and confirm we’re talking about the same thing. Q: Are you a “no pass, no pay” station? A: No, we charge for the initial inspection regardless of the outcome. However, if your car fails inspection the first time and you decide to hire me to do the repairs, I’ll retest the car for free. Q: What types of exhaust services do you offer? 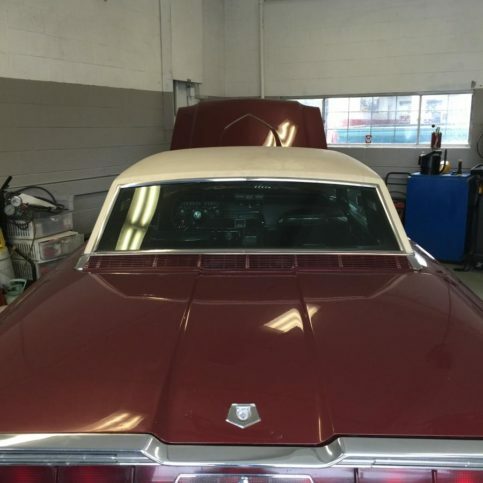 A: I do custom exhaust work, especially on older cars that are being restored. Basically, I can handle everything from replacing a single exhaust with a dual exhaust to bending or welding pipe. It takes special tools to do this kind of work, and I have all those tools at my shop. Outside of work, Dave spends much of his time in the company of his two teenage sons, Justin and Cody. “We enjoy outdoor activities like camping, riding dirt bikes in the Indian Valley and water skiing at Lake Sonoma. The boys are also involved in martial arts and kickboxing, but I’m getting a little too old for that,” he laughs. At home, Dave can often be found absorbed in his labor of love: restoring a 1968 Pontiac Firebird convertible. A: A ’68 Chevy Camaro. Q: If you could drive any car, what would you drive? A: There are actually a few, including Craigslist, Facebook and auto repair forums like Identifix. 1) While the purpose of a “check engine” light is to alert the driver of a problem sensed by the vehicle’s onboard computer system, there are several things that can cause it to come on, from an issue with the emissions system to something as simple as a loose gas cap. Though it’s a good idea to get an illuminated “check engine” light diagnosed, you may save yourself a trip to the mechanic by checking to see if your gas cap is screwed on tightly. 2) There’s a significant difference between when a “check engine” light is illuminated and when it’s flashing. When flashing, the light is warning of an imminent crisis that usually involves the catalytic converter, which is why it’s crucial to pull over and turn off the vehicle as soon as possible. Otherwise, you may end up with severe catalytic converter damage that requires expensive repairs. 3) Most people know an illuminated “check engine” light will cause a vehicle to fail a smog inspection, but many don’t realize that with modern vehicles, even past incidents can be an issue. Even if it’s off during the inspection, if your “check engine” light has been on recently, your vehicle’s computer memory will have stored the code, which will show up during the test. So, if you’re aware that your light was previously on, let the technician know about it upfront to avoid an unnecessary inspection fee. 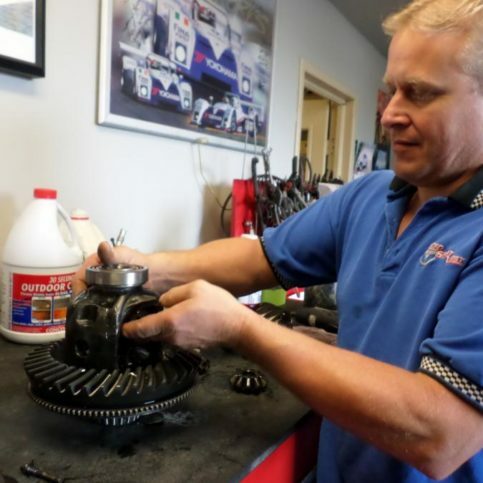 Diamond Certified Expert Contributor, Dave Proffer: Okay, so what we have here is a differential that went low on fluid and caused damage to the actual gears. If the fluid was kept up to par, we would be changing the fluid and servicing it and putting new fluid in. But as a result of it being low on fluid, we are having to go through and completely overhaul this differential because the premature bearing wear, it caused damage to the gears where the gears have slipped and now we are replacing this gear and this gear due to the damage with all new bearings, new seals and new crush sleeves. What we have here is the damaged bearing with the cage that has come apart due to improper fluid level or running it low on fluid when this is what it looks like now when it should look like a new bearing if the fluid had been kept up. So it’s very important to keep the fluid level and keep the condition good on your vehicle and components such as the rear differential for proper gear lubrication and bearing wear so they don’t end up worn and coming apart like this with improper levels. 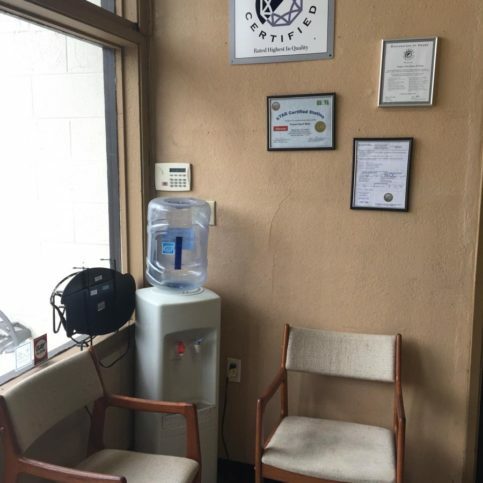 Empire Auto Repair & Smog : Average 9.4 out of 10 based on 80 unique customer surveys of customer satisfaction. I think they have good customer service. They're pretty friendly, timely, and they get the work done quickly. I think probably how easy it is to schedule an appointment; they're also competitive in terms of their pricing. He is very reasonable, and he is honest. He gets my car in there and he gets it out when he says he is going to. He is a good mechanic, and he does good work. He gets the job done fast, and he does it right. I don't know what I'd say. I guess I'd say I think Dave is a good mechanic. I've had issues with previous mechanics, but so far, Dave hasn't steered me wrong. My car always gets fixed to my standards. They always give us a fair price, they get the work done quickly, and they're reliable. They're reliable, friendly, and they get the work done quickly. I've been going there for quite some time now, and I've never been dissatisfied, so I guess that is a good thing. They're accommodating, responsive, knowledgeable, and competent. I've been going there for quite a few years, and they've always done a good job from what I can see. Dave is a perfectionist. They are friendly, knowledgeable, and professional. They can get me an appointment at the last minute, and they're thorough. They're very knowledgeable, efficient, and quick to complete the job. Dave, the owner, is a real genuine guy. 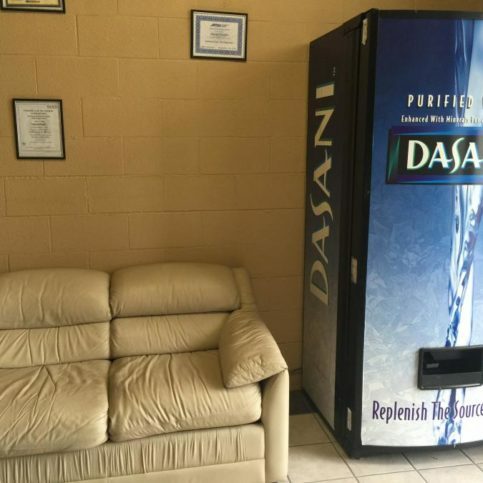 He's personable, and he goes out of his way to accommodate his customers. I guess I'd say they're honest, upfront, and reliable. They follow through on what they say will be done, and they do good, quality work. They're very reliable, and I always know my car will get fixed right the first time. They have good customer service. 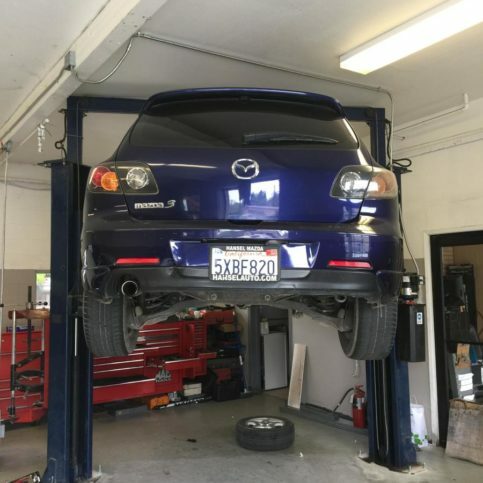 Every step of the way, I was told what was being done to my car. This was my first time using them. I went in for a smog check and had no issues. For me, it was very convenient, being so close to my home. I plan on going back in the future. They have a good location, since they're close to my home. They're great. They're honest, and you don't feel ripped off. I keep going back there. He's reliable. I know the work will be done, and he's honest. He's a very good mechanic. It is a good place to go. They have good service. I can't come up with that right off the bat. They were very good, and they met all of my needs.